Fast delivery. Item is well-packed from damage. Will continue to purchase from this reliable seller. 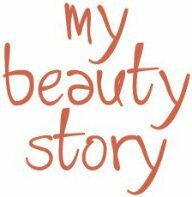 Used the product and is good and suitable for me. Highly Recommend Fast and good. Received four days after ordering. Fast and good. Item received with thanks. First time buying this brand and yet to try. Thank you for the product!! Delivery was really fast. Item came bubble wrapped but without original packaging. Fast and efficient delivery as always! Repeated purchase. Been using this products for many years, don't really understand why without the Kose packaging box? item received in good condition, expiry date in 2020. Fast delivery. Fast delivery Fast delivery Good. Very fast delivery and the item is authentic too. Expiry is till year 2020. Have not tried out the product yet, will review the next round 1 May: tried the product, the texture is milky and white, pretty similar to shiseido’s sunblock but it’s less oily. I don’t smell any strong fragrance. The sunblock is light and my face is quite mattifying after the application, it absorbed fast as well. Ordered on Sun.. Received on Thurs.. SELLER MIA! Everyone be cautious if you are placing order. Seller sent wrong item which are not even listed in their list and MIA for more than a week after I contacted them about it. 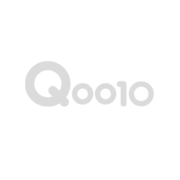 Have raise the issue to Qoo10 help desk. What’s the expiry for the 80g gel ? Hi milk or gel is lighter. I prefer light texture..
Before I saw your pickup place at Yishun, but after payment, it became self pick up at Senang Crescent. at Yishun . Please advice asap. What is the expiry date for the Lose sun protect essence milk? Kose sun protect essence milk expiry date. My pick up voucher was expired. Please let me know how I can come to pick my order as I did pay already. Thanks. Hi, we will help you extend your voucher on our end. Kindly message/whatssap us at 9696 6559 to arrange for an appointment. Thanks. Hi can the item come in a box as I'm getting it as a gift? Hi, we do not have a box for this product. Sorry for the inconvenience caused. Thanks.